A2Z PARTY Is Here To Help! Your wedding is a time for excitement, wonder, and love. It shouldn’t be a day when you are frustrated by a lack of vendors, venues, and good food. A2Z Party provides all of the wedding rentals NYC you’ll need in one place, through one company. Our party planning consultants will help you choose the perfect wedding invitations, provide extra tables and chairs, and even arrange for the entertainment. With our assistance, you can focus on your wonderful day and not worry about the wedding rentals NY. We will put together a full range of services to handle every aspect of your special day. Our consultants know the best vendors for designing, printing, and mailing wedding invites. You won’t need to lift a finger. We’ll also find and help set up the decorations and wedding rentals Brooklyn for your wedding and reception. All that’s needed is your input into which decorations you love the best. We put together the bouquets, centerpieces, table settings, party favors and more from our connections to companies that offer a variety of wedding rentals New York. No celebration is complete without some kind of entertainment. Our selection of DJs, fire show, dancers, magicians, and more will delight and amaze the guests. Of course, you can go all out or just keep it simple with a DJ and a dance floor. Our consultants will assemble wedding rentals New York as well as set up and decorate the dance floor to make it extra special. Keep your wedding party together and on-time with pre-arranged transportation through us. Our wedding rentals NYC ensure that those with an important part to play don’t mess up the schedule. The bridal party can ride in a luxurious limousine to the big event, or you can opt for an elegant, understated sedan. The driver will always know where to go and how to get there quickly. 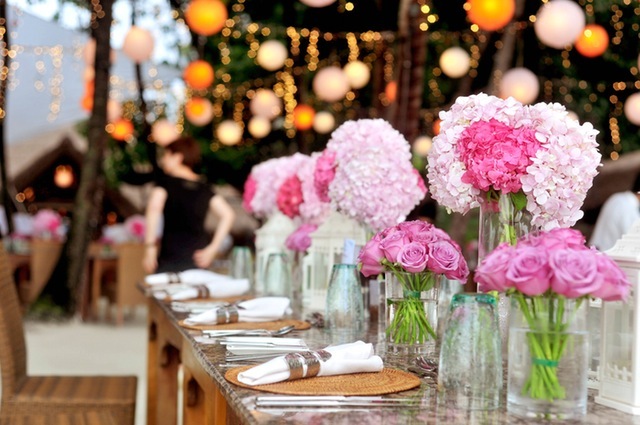 Take some of the stress off with our party planning consultants. We know how to find quality, local wedding rentals NY. We will help manage every aspect of your big day with our vendors and wedding rentals Brooklyn too.